ANNAPOLIS, Md., July 7, 2016 – If you need to borrow a kid’s life jacket for the day or even the weekend, chances are there is one near you at one of the over 1,500 life jacket loaner sites across the country at BoatUS.org/loanermap. 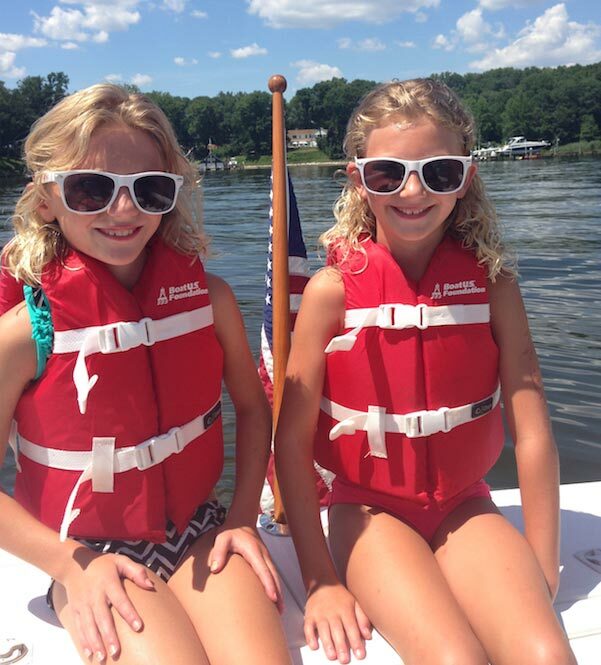 Even twins can get a right-sized life jacket through the BoatUS Foundation kids’ Life Jacket Loaner Program. The website list is “the nation’s largest single source of life jacket loaner sites” according to BoatUS. It includes nearly 600 free BoatUS Foundation kids’ Life Jacket Loaner sites at marinas, boat clubs and firehouses, along with over 900 local community loaner sites to give parents and boaters more options. Begun in 1997, the BoatUS Foundation for Boating Safety and Clean Water’s kids’ Life Jacket Loaner Program is the nation’s oldest and largest loaner program (all 50 states + District of Columbia), making it easy for boaters to borrow a right-sized child’s life jacket for the day, afternoon, or weekend at no cost. Each year, the Foundation loaner sites lend out life jackets over 140,000 times. There is no reason to have a child without a life jacket on a boat.